WordPress themes were created so that virtually anyone can create their own one of a kind WordPress site. These themes were designed to simplify the process of building a site from scratch. Most of us are not tech wizards and the thought of creating a website by ourselves sounds, not just incredibly daunting, but horrifying. We don’t even know where to start and don’t know much code or have most of the knowledge needed to build a website. But thankfully, WordPress realized this incredibly bug issue and have come to our rescue. 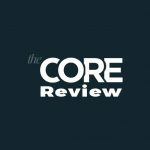 WordPress has hundreds and thousands of themes available for people to sift through and figure out which one will be able to give them the tools they need to make their website the way they want it to be. 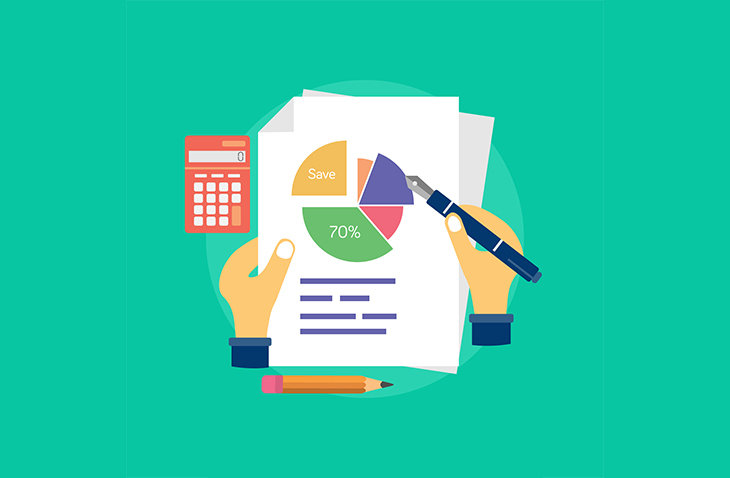 In this post we have brought to you a list of bookkeeping WordPress themes so if any of you are accountants or other similar professions these themes may be able to help you build a website for your occupation. 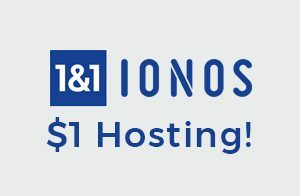 Now from our previous paragraph you already have an idea of how many WordPress themes are out there in existence and the thought of it is overwhelming. But do not fear because we have done all of the research for you for finding your perfect bookkeeper theme. We have compiled this list of a dozen bookkeeper WordPress themes so all you have to do is read our list to decide which theme is the right choice for you to use for your WordPress bookkeeping site. 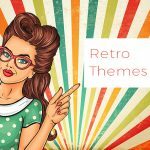 So do not put this off another minute, let’s check out these themes back to back so you can see what they all have to offer and you can make an educated and informed decision of which you should choose. 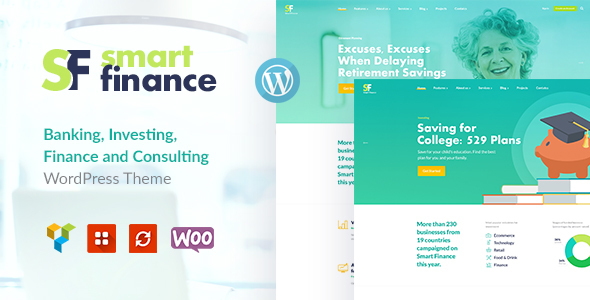 And we are kicking off our Bookkeeping WordPress Themes list with the Smart Finance theme. 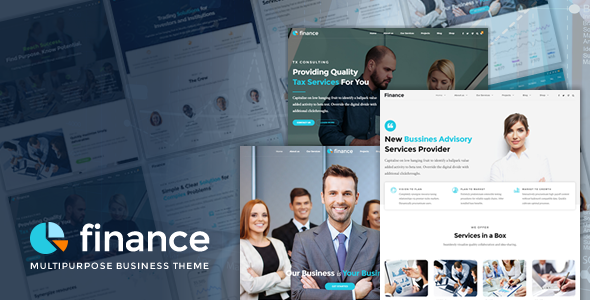 This is a great theme choice for those of you who are in finance and investment companies and tax and legal firms to make your own website for yourself or your business. The Smart Finance WordPress theme works with the WP Bakery page builder plugin so you should have no trouble designing and creating your site from scratch, even if you are not very tech savvy. This theme is cross browser compatible as well so your site will work on most popular web browsers like Safari, Chrome, and Internet Explorer. Smart Finance can also work with several other plugins such as: PO composer, Swiper Slider, and the Revolution slider. This theme also has a responsive design as well as retina support. 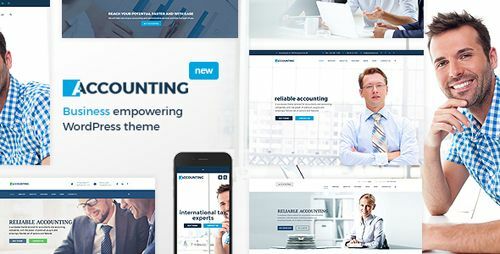 While this theme does have the word accountant as its name, the Accounting theme can also work for consulting or financial company websites as well. 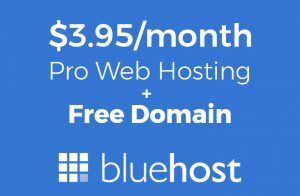 It is a multilingual ready theme that is also WPML certified so you will have the ability to translate your site into almost any language you can think of. 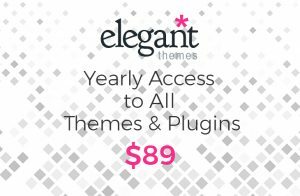 The Accounting theme has the Visual Composer page builder plugin as well so you will be able to build, customize and maintain and edit your site with extreme ease. This theme is also coded with the best SEO practices in mind which means that your site should show up higher in relevant online search results which can help improve the traffic to your site. The design of Accounting is also completely responsive so your site will have no problem being viewed on any size screen, even tiny little ones. Next up is the Partner theme which is a perfect theme choice for both professional services and consulting businesses to create a website for their company. The Partner theme has the Visual composer page builder as well with its incredibly useful drag and drop feature so all you have to do to build your site to your exact specifications is literally drag items around the page and drop theme wherever you want them to go. 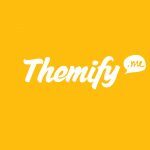 It can also work with the Contact form 7 and Gravity forms plugins so you will have away of staying connected with your site’s subscribers through email. This theme also has an SEO optimized design to help your site stand our among the cluttered online search results. This theme’s design is responsive as well. 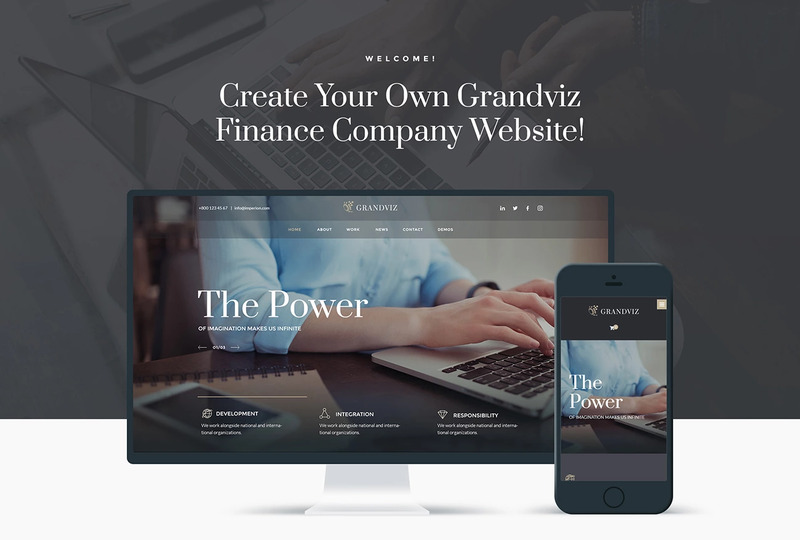 The Grandviz WP theme is a premium WordPress theme that was created for financial companies to use for building their websites. This theme comes with the Elementor page builder, instead of the Visual Composer which our other themes have, to provide you with the tools that you need to build a website on your own. By using the admin panel of Grandviz you will be able to easily configure your site to your liking. The Grandviz theme also comes with the Jet Elements plugin which will give you even more functionalities to use on your site. It also uses the mobile first paradigm to ensure that your website will be able to work correctly and effortlessly on devices with small screens. Next up is number five of our bookkeeping WordPress themes. The Investory WP theme is a blog theme geared towards corporations. This theme also uses the Elementor page builder which will provide you with similar tools to the Visual Composer. You will be able to easily design and customize your site to your exact specifications using Elementor. 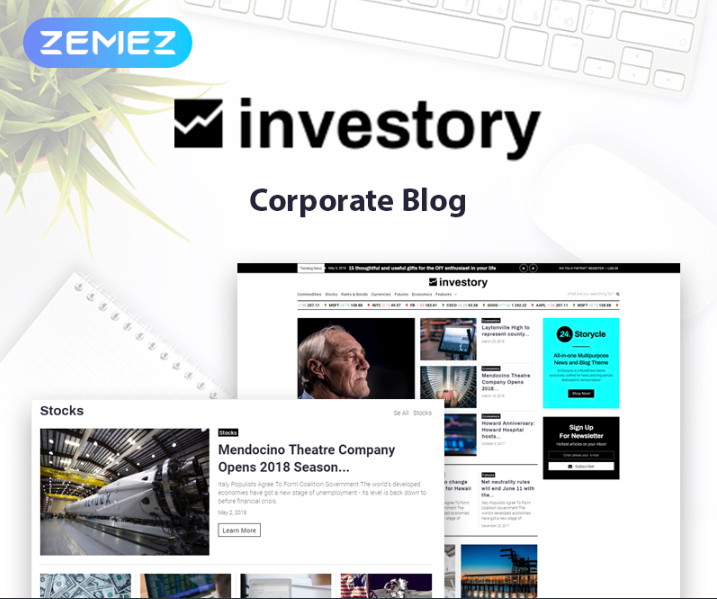 The Investory theme comes with two other plugins as well, the Jet blog plugin and the Jet Elements plugin to give you even more functionality to use. It has a fully responsive design that is retina ready so all of your site’s content will look great no matter what size screen your uses is using to access your site. This theme is WPML ready as well so, should you decide to use it, you will be able to translate your site into other languages which can widen your audience. Next up of our bookkeeping WordPress themes we have a WordPress theme with a very fitting name, Bookkeeper. The Bookkeeper theme is a great choice to use for CPAs, accountants, and bookkeepers that wan to create a bookkeeping site but it can also be used for sites in the: finance, trade and commerce fields. It is cross browser compatible with major web browsers such as: Internet explorer, Safari, Chrome, Firefox, etc. The Bookkeeper theme has a completely responsive layout that is also retina ready so all of your site’s content will look great from large desktop screens to tiny mobile ones. There are also tons of different integrated icons such as: Google Plus, Facebook, Twitter, and more. Next up is a multipurpose WordPress theme that you may know of if you are a bit familiar with WordPress. 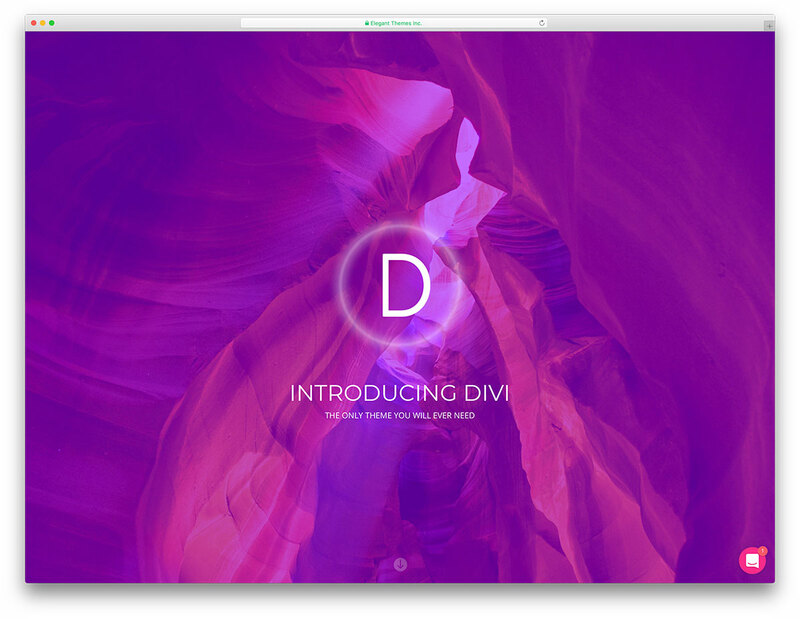 The Divi theme was created by Elegant themes and is a very powerful theme. Since it is multipurpose this means it is not bookkeeping specific, however, it is still a great option to use for your bookkeeping site because it comes jam packed with loads of different features and tools. 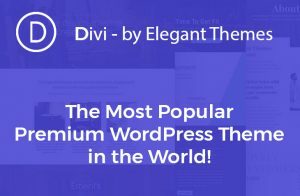 The Divi theme even comes with its very own page builder, the Divi Builder that has a useful drag and drop tool so all you have to do is literally move items around the pages of your site and drop them where ever you want them to go. 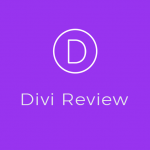 With Divi you will be able to “build anything visually” since it has so many easy to use features and doesn’t even require any coding knowledge to use it. We move on to the Finance theme which was designed and built for: finance, accounting, brokerage, law office, consulting website, and other similar businesses. It is retina ready as well as responsive so your site will always look great from large desktop screens to small mobile ones and everything in between. 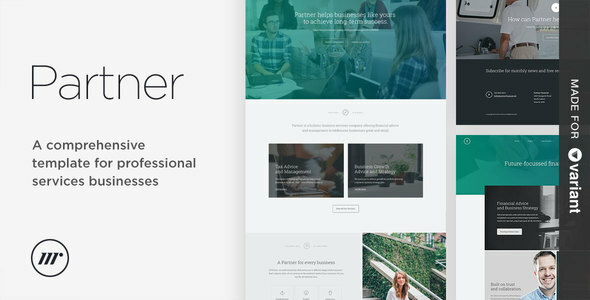 This theme has the Bold Builder as your visual page builder to help with designing and building your one of a kind website. 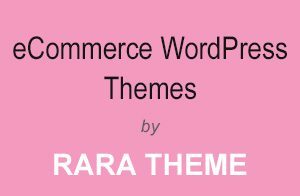 There is WooCommerce support as well with the Finance WordPress theme so you will have the ability to create an eCommerce aspect of your website. There is multi language support and it is translation ready as well as being WPML certification so you can translate your site into almost any language should you ever need or decide you want to. 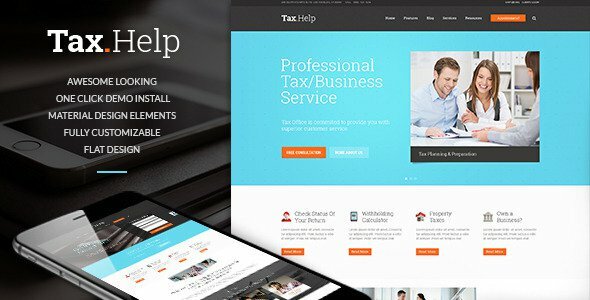 The Tax Help WordPress theme can be used by various establishments such as: tax assistance, individual finance adviser agency, accounting business bureau and other similar businesses. There is WooCommerce shop compatibility as well so you can have eCommerce aspects on your website and have a way of managing it. The Tax Help theme comes with the WP Bakery page builder as well to make the building, customizing and maintaining of your website incredibly easy. 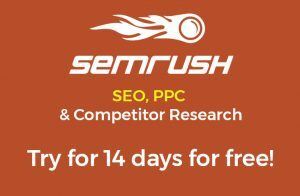 This theme is search engine optimized friendly as well so your site will show up higher in relevant online search results. There is mobile device optimization as well and the design is responsive so your site will look great on all different screen sizes. And it is cross browser compatible so your site can work on most popular web browsers like Chrome, Safari and Internet Explorer. And we have come to number ten of our bookkeeper WordPress themes with the Monstroid 2 WordPress theme. This is another general multipurpose theme that is not specific to bookkeeping but it is still a great choice for your bookkeeper WordPress site. It comes with a variety of different tools, elements and features so creating your website will be a snap. This theme has the Elementor page builder with it, so you will have no trouble customizing your site to you exact specifications. The Elementor page builder also has the drag and drop feature so you can just drag items around on your page and drop them wherever you want. Monstroid 2 is also fully WooCommerce ready so any of your eCommerce needs will be able to be met. And we move on to the first free theme of our list, OceanWP. This is another multipurpose WordPress theme that can be used to even make a bookkeeping, or other similar, website. 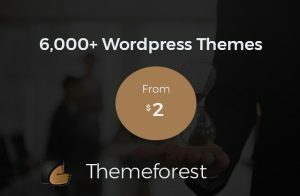 This theme can work with the most popular page builders such as: Beaver Builder, Visual Composer, SiteOrigin, Brizy, and more, so you will be able to build your one of a kind site in no time. The OceanWP theme is also both RTL and translation ready so no matter what language you want to translate your site to, you will have the power to do it. This theme also comes with the best SEO practices so your site will be more noticeable in online search results. 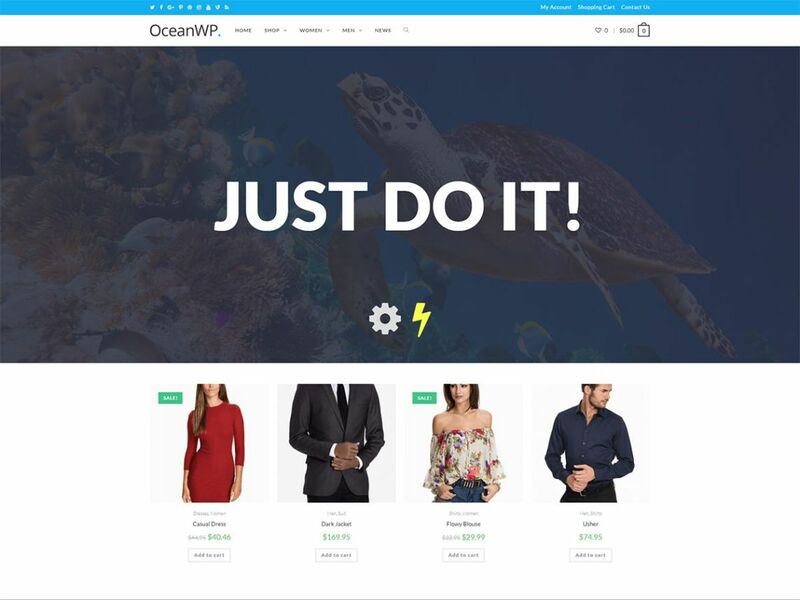 OceanWP can also work with WooCommerce so you can either completely turn your site into an eCommerce or just have a section of it as an eCommerce. And last but not least is the Amwal WordPress theme. Amwal is another premium theme to be used by: finance, consulting, and business companies to create websites. It can be used by people in various professions such as: accountants, financial advisers, consulting firms, tax help, investment firm, and others. 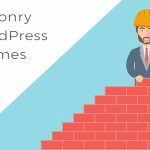 The Amwal theme has the WP Bakery page builder plugin so creating your site exactly the way you want to will be a breeze. This them can also work with the Contact form 7 plugin so if you choose to use it you will have a way of staying in touch with the subscribers of your site. It is fully responsive and retina ready as well so your site will always look great no matter what kind of device your user is using. 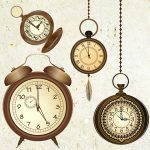 There is a real time WP customizer as well so you will be able to see the changes you make to your site in real time. So now that you have thoroughly read through our bookkeeper WordPress themes, have you found the on that’s right for you? If not, don’t worry, take your time and think about what you want to get out of having a WordPress site. Once you have figured out what you what your site to look like and what it should accomplish you will be able to decide on your theme.